We all know that crocheted shoes can't be used outdoor unless it has a rubber sole. 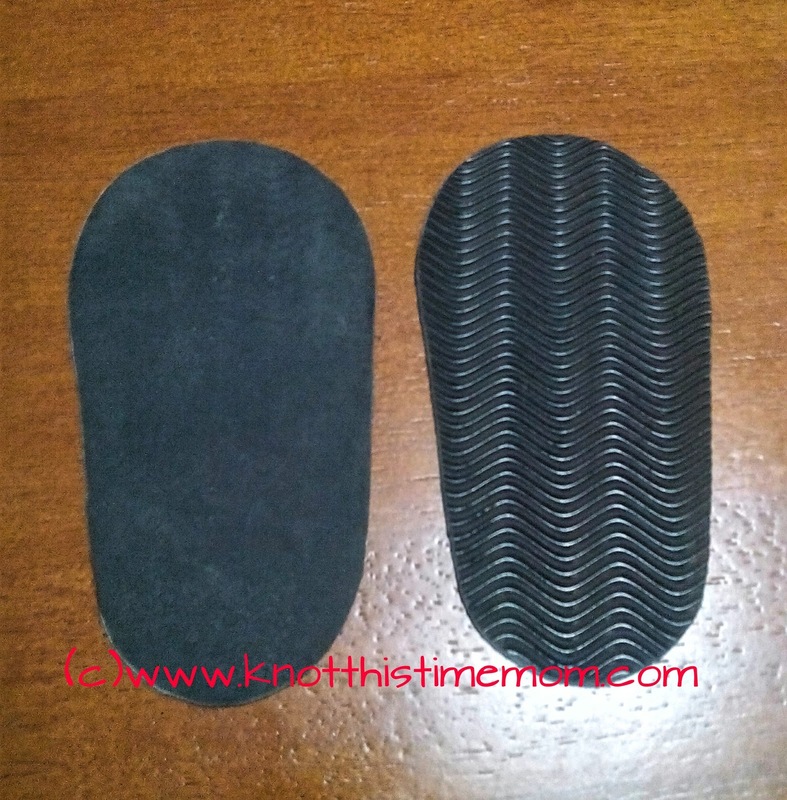 This time I am going to show you how I add rubber soles to my works. It's a little time consuming but worth it. Prepare your materials. Most of these are avaible at hardware stores but I bought mine at a local shoemaker shop. 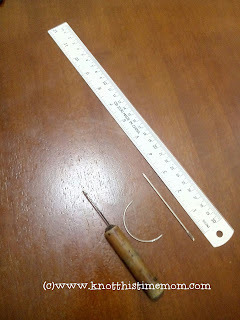 Needle for sewing: The one from the left is similar to piercing crochet hook. Recommended for thicker soles since the tip is very sharp. 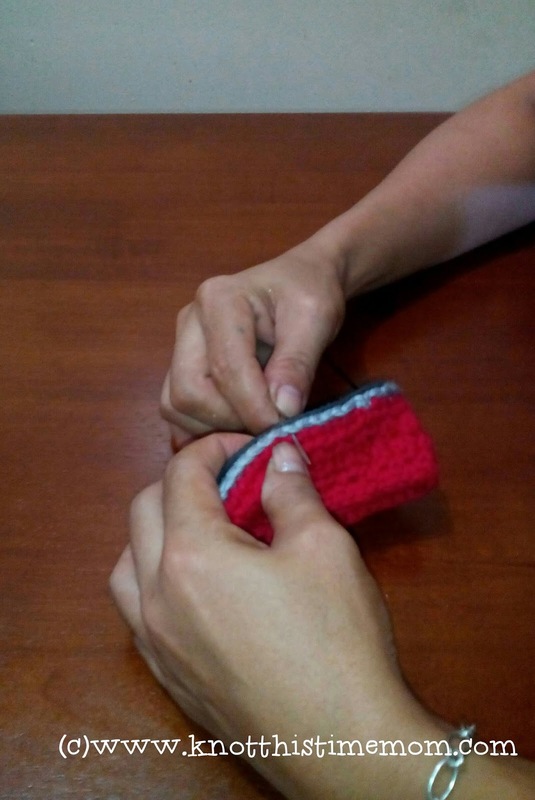 it requires two strands of thread: one at the top and one at the bottom. The one at the middle is a curve needle good for slip stitching. The last one is a straight needle but thicker and bigger than ordinary. I am going to use this in this tutorial. 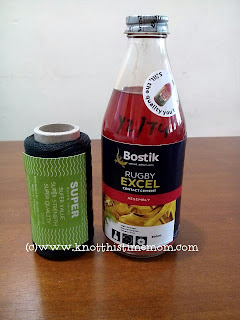 Nylon twine and contact cement or known as rugby. In case of unavailability or rugby, you can use super glue instead. 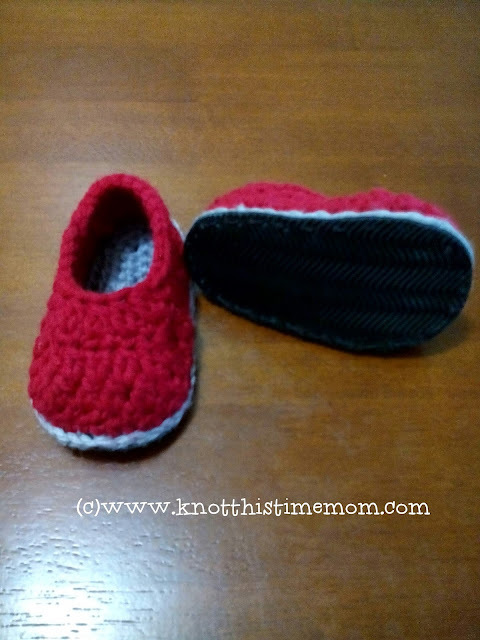 Put your finished crocheted sole on a rubber sole. Hold your pen upright and copy the sole. Even out the lines and cut. Make two, one for the right and one for the left. 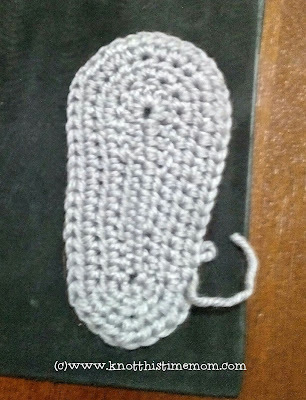 Note: It's better to copy the sole right after you finish the sole before continuing the upper part of the project to get a better template. 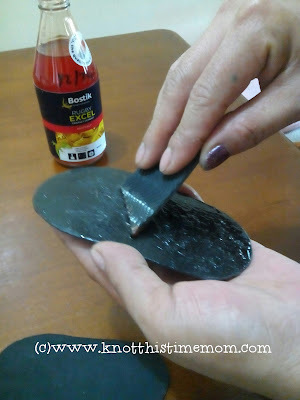 Apply glue/rugby to the rubber sole. Make sure to spread it evenly. Allow a few minutes before sticking the pieces(the shoe and the rubber sole) together. 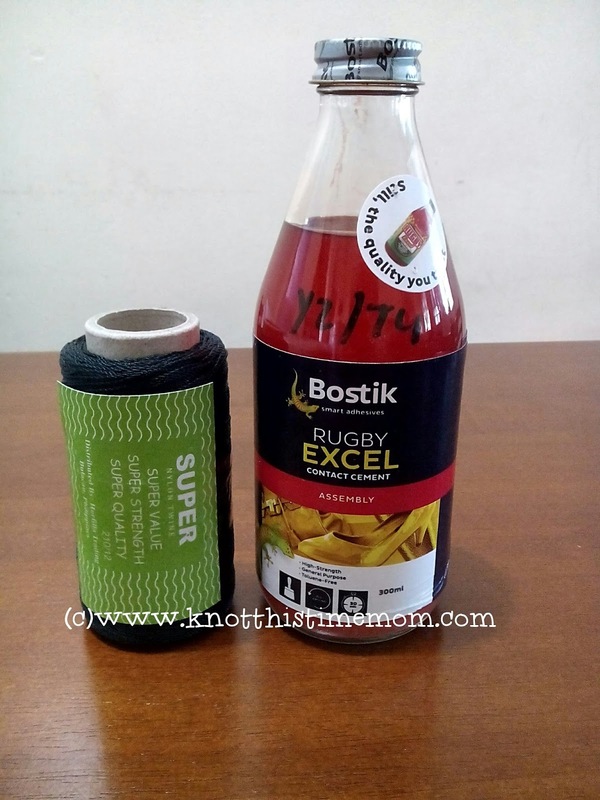 If you prefer to use a rugby, you will need to apply both at the rubber sole and the shoe sole and wait 20-30 minutes before joining them together. Join the pieces together and allow to dry. You can leave the shoe as is or you may continue sewing the sole. If you want your shoes to be durable, sew the soles togetherusing a needle and nylon twine. 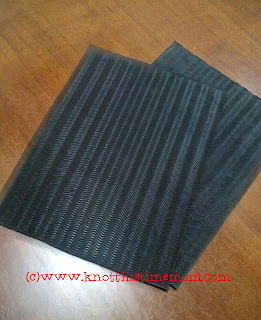 I use either back stitch or running stitch for thinner rubber soles.